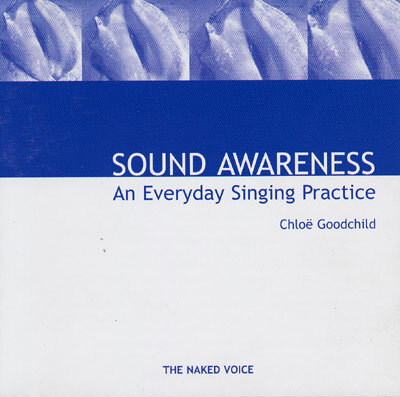 Sound Awareness offers a simple and profound singing practice for everyone. It is a vocal meditation,a way to embody spirit in sound. It will strengthen your inner-outer voice, relax your mind and awaken the witness consciousness; your capacity to listen to yourself without judgement. Take a journey from the source of sound with the sacred AUM; through the Seven Chakra Mantra which strengthens the spine and vertical axis of awareness; to the Heart Sutra, which awakens gratitude and compassion for the personal and collective Self; and finally, the six musical modes sung with the Indian sounds, SA, RE, GA, MA, PA, DHA, NI, SA. Ultimately the subtle musical intervals of these modes, enable us to access and to transform our unconscious emotions into musical food for the soul, and to bring the treasures of true human feeling into consciousness through sound. Sound Awareness offers a simple and profound singing practice for everyone. It is a vocal meditation,a way to embody spirit in sound. It will strengthen your inner-outer voice, relax your mind and awaken the witness consciousness; your capacity to listen to yourself without judgement.